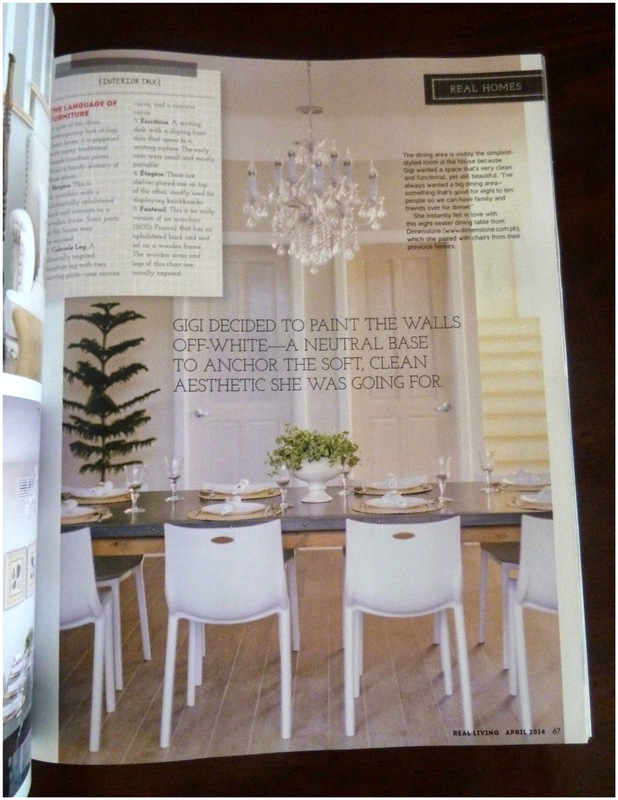 While I was pregnant with Natalie, I had two other babies to take care of --- home design projects for two ladies who are good friends and completed the decor of their homes with their own personal touch. 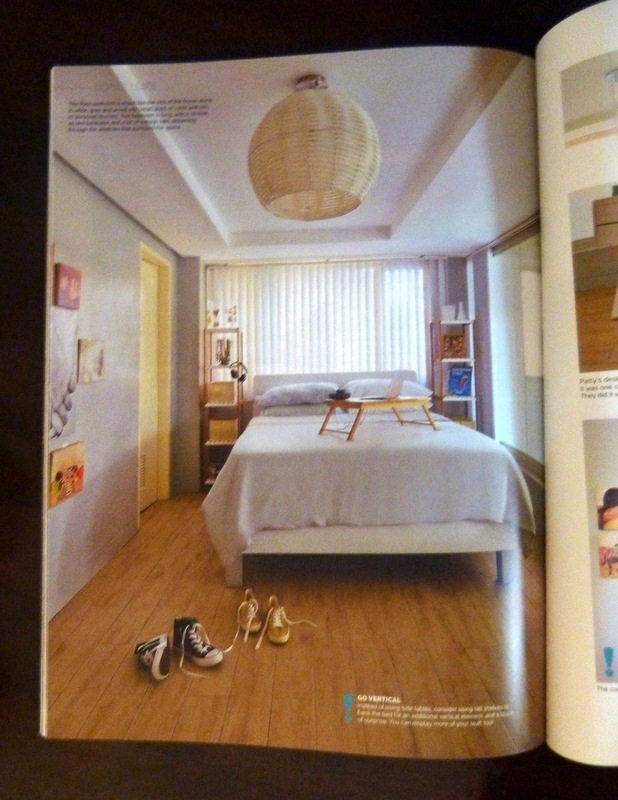 I am happy to share that they were featured in two different design magazines and now serves as an inspiration to others. 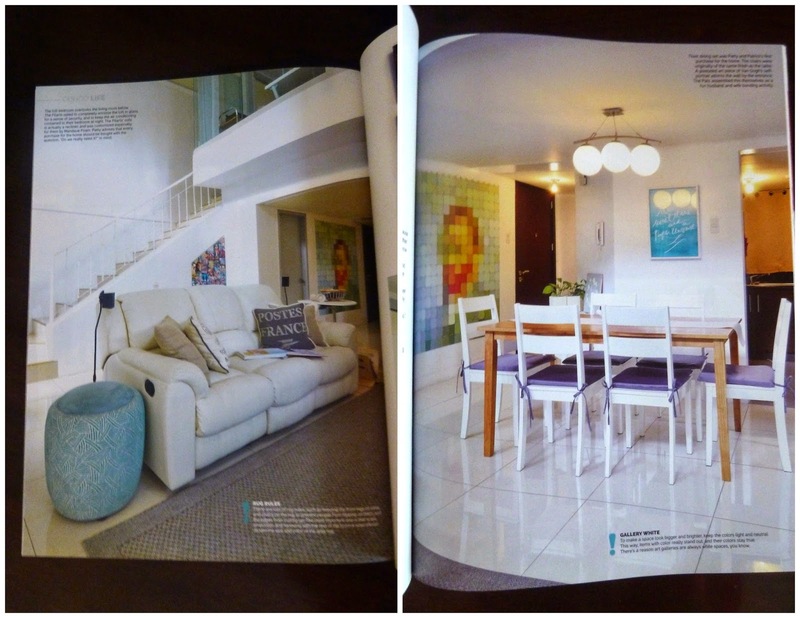 Real Living Magazine features the interiors of the house that I designed for Gigi Gonzales-Uson and her family - one of my favorite clients ever :) Working with them was the most pleasant and stress-free experience I've had while designing and building a house. 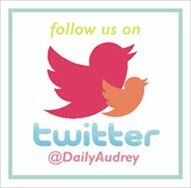 It was truly a blessing especially since I was expecting a baby during our most crucial design stages. But it went by smoothly and so did the construction stage. 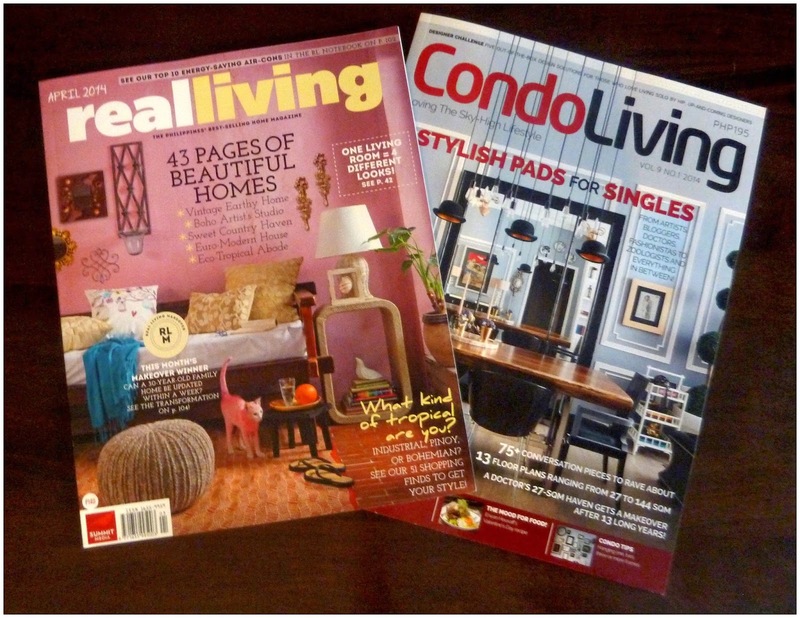 Here are a few pages from Real Living magazine's April 2014 issue. 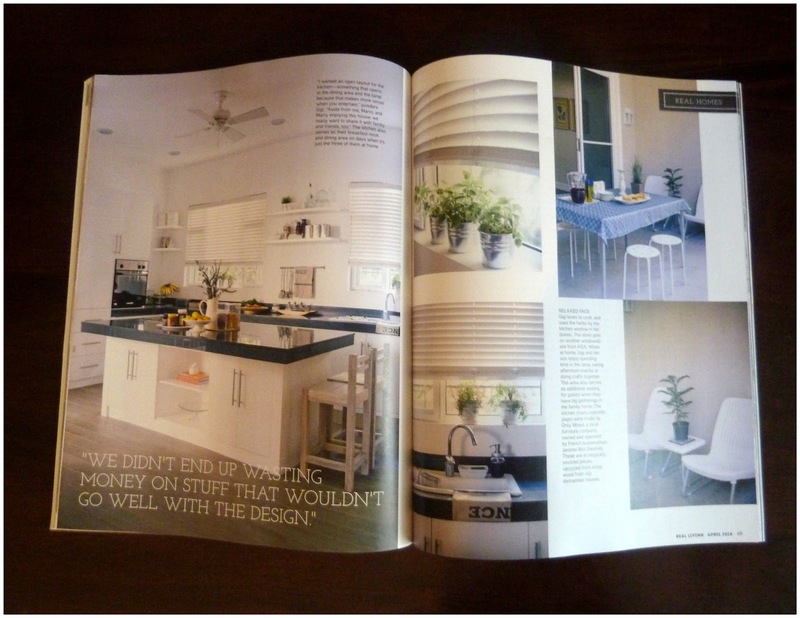 More details of Gigi and Mario Uson's house are shown in the magazine. 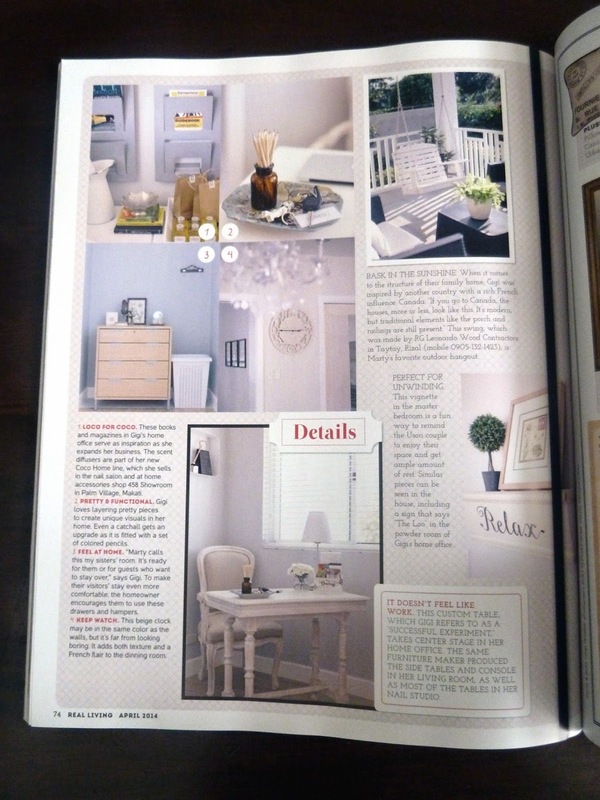 You can get a lot of DIY design tips and ideas if you get to grab a copy :) There are also a lot of other featured homes that are just as beautiful and interesting. 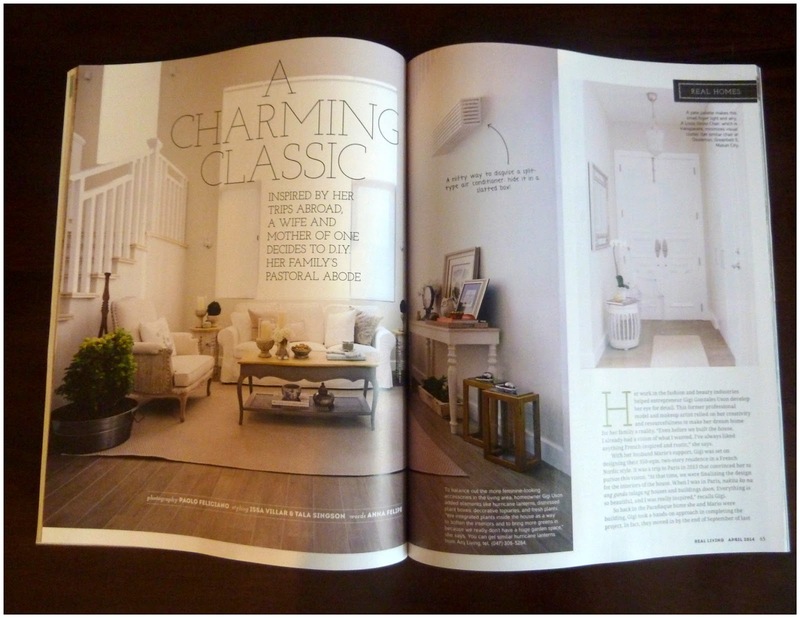 Here are some photos from the magazine.